The House Education Committee heard exciting testimony last week on two bills to extend and expand the state’s Trauma Informed Schools projects. Tigard High School (Tigard-Tualatin School District) and Central High (Central School District) were selected in 2016 to work with the Oregon Department of Education and the Oregon School-Based Health Alliance to pilot a project to address absenteeism through trauma informed care approaches. House Bill 2026 would extend the program. The Trauma Informed Schools projects are using nationally recognized research to create a system for all school personnel, including classroom teachers, classified staff, administrators, health personnel, school bus drivers and all adults who interact with children during the day. “Poor attendance, behavior problems, special health care needs and social emotional delays mean that a child is more likely to repeat a grade,” testified ODE legislative coordinator Jan McComb. Adverse childhood experiences, trauma and stress affect student learning and are the primary targets of the effort. Witnesses explained that the ability to change the dynamic in dealing with these students positively affects the learning environment for all students and also for teachers and school personnel. The Trauma Informed Schools (TIS) project began with training on new practices and approaches for staff to change the learning dynamic within school buildings, as well as to coordinate with health centers, coordinated care organizations, local nonprofits and other resources in communities. Tigard Principal Andy Van Fleet said staff have been able to examine how they respond in different situations and change their practices. Van Fleet said Tigard had its highest graduation rate in 2018, including a 16 percent increase in Latino graduation rates and a 21 percent increase in special education graduation rates. Failure rates in freshman biology fell from 11 percent to 6 percent, in algebra from 21 percent to 9 percent and algebra AB from 25 percent to 13 percent. Some numbers could be directly attributed to the trauma informed practices, Van Fleet said. Central High School Superintendent Jennifer Kubista said the program supports the development of the whole child. “We are embedding the work to support not only our students but our staff,” she said. The district has set a policy goal that students are “healthy, safe, engaged, supported and challenged,” Kubista said. The partnerships between the district, the high school, the Central Health and Wellness Center, Polk County and the Oregon School-Based Health Alliance are helping the district to leverage new partnerships with health systems, she said. 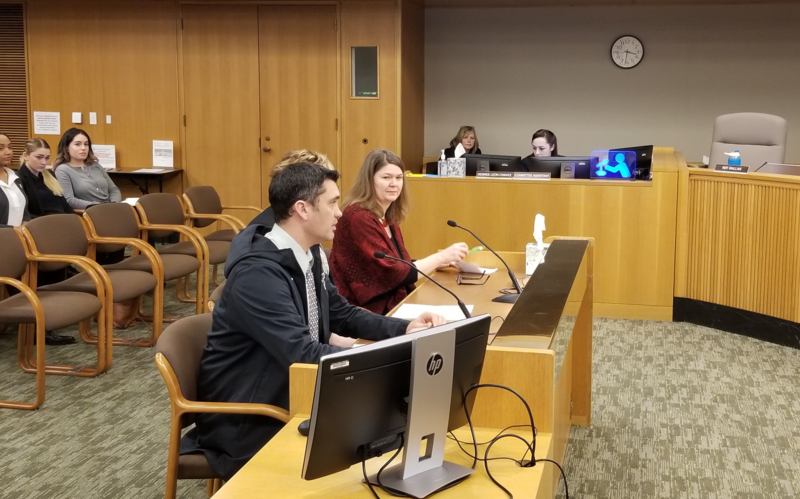 Legislators, including Reps. Teresa Alonso Leon, Courtney Neron, Jeff Reardon, Cheri Helt and Janeen Sollman spoke about similar successful efforts in their districts, including implementation of the PAX Good Behavior Game program in the Hillsboro district. Riggs noted that these ideas are filtering throughout the state, including an effort in southern Oregon led by former Ways and Means Committee Co-Chair Peter Buckley. A parallel bill, HB 2386, has been introduced by Education Committee Chair Rep. Margaret Doherty and would add up to three additional districts to expand upon the excellent work being done by Tigard and Central. A work session on the concept is expected in the next two to three weeks.